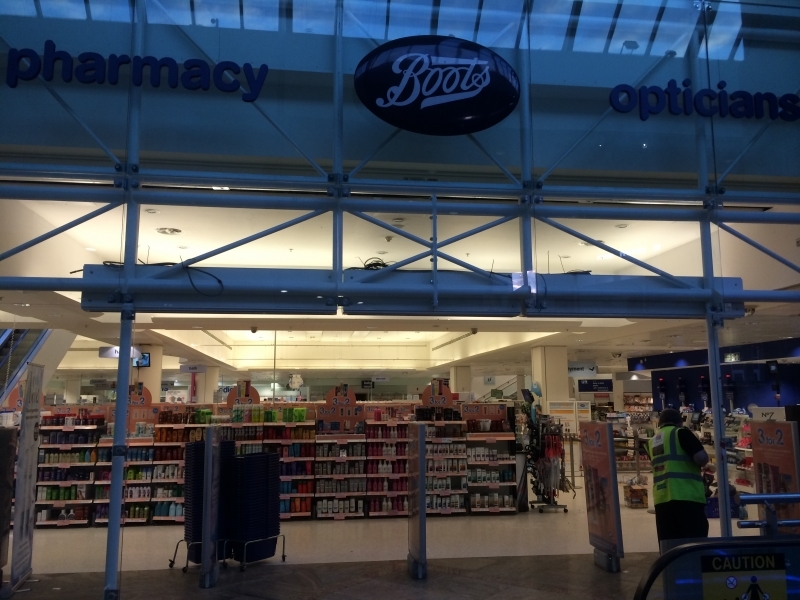 Due to Boots’ open door policy, the open shop front on one of its flagship stores located in the Oracle Shopping Centre, Reading was causing more than a headache for the retailer. While the design of the store entrance was helping to promote footfall, cold draughts were becoming a problem for both staff and customers. In addition, the heating/air conditioning system was working extra hard to cope with the heat loss, so energy costs were escalating. Nortek Global HVAC UK worked with M&E contractor Neville Tucker Services of Kingston upon Hull to provide an energy-efficient, cost-effective solution. 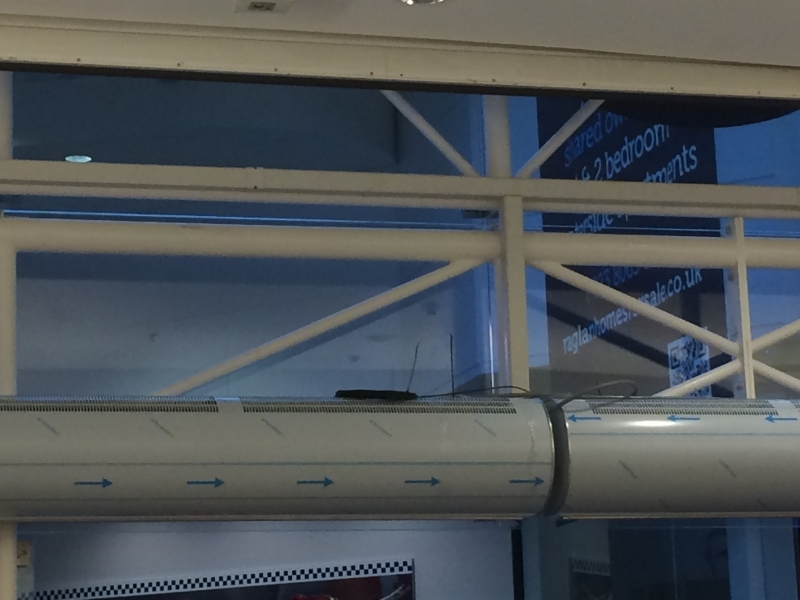 Fitting air curtains created a barrier of air to deflect the natural convection airflow so that conditioned air would be retained within the store. It also slashed the store’s running costs. Because of the size of the open shop front, cold dense air flows in at the bottom of the entrance opening while warm air inside the building exits at the top. Typically, air curtains are installed over the doors to high street shops and above the entrance doors to shopping malls. 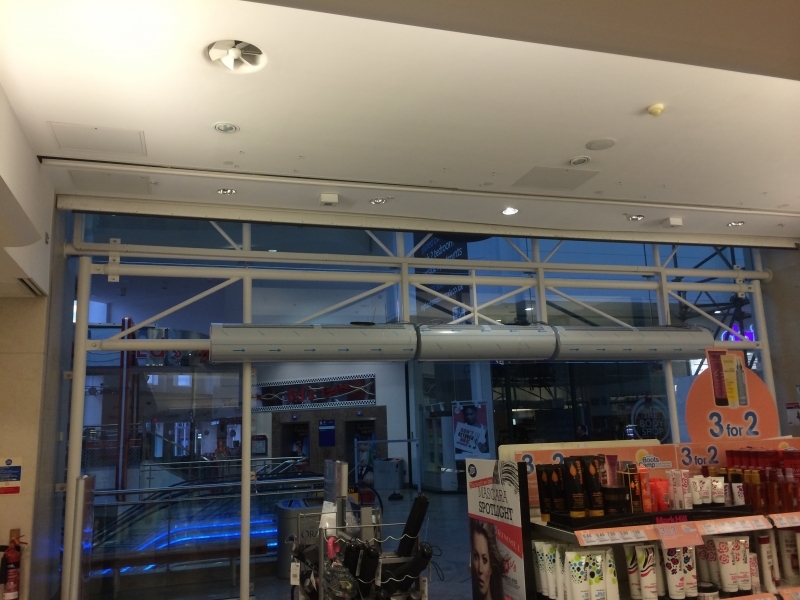 Here, however, the size of the entrance to the Boots store and the lower ambient temperature in the Oracle Shopping Centre meant it was necessary to install air curtains above the doors to the store. Nortek Global HVAC UK, which incorporates the AmbiRad, Benson, Airbloc and Nordair Niche brands, supplied nine air curtains from its Airbloc AC range. 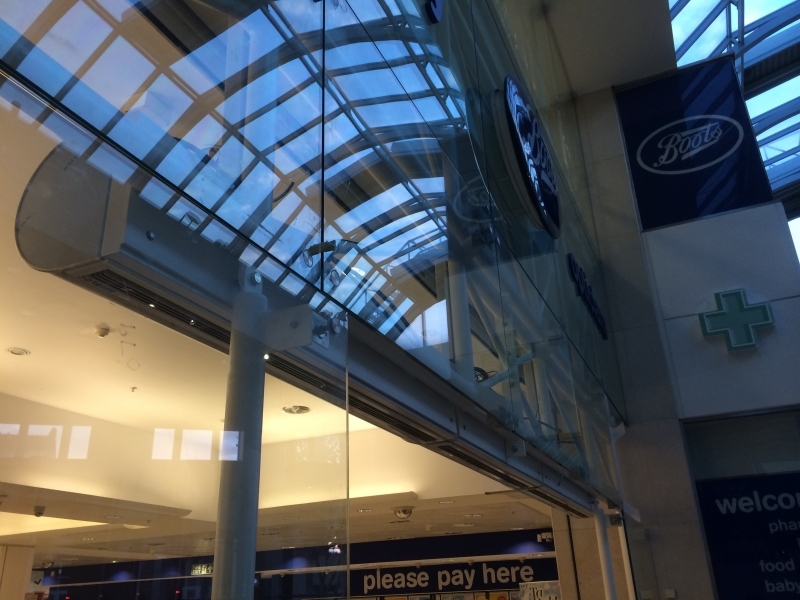 The store’s recessed ceiling does not extend to the glazed frontage, so recessed air curtains were not an option as they would not seal the doorway. With a semi-circular profile, which also conceals the inlet grille, the Airbloc AC unit was ideally suited to this application because it could be mounted close to the door for a better seal. Nine three-phase electrically heated air curtains were installed side by side across the store’s three 6m glass doors to resemble a single continuous unit. For added safety/ functionality, the units were specified with an illuminated fire exit sign, while a powder-coated finish provided a stylish solution that did not detract from the overall design of the store entrance. Working closely with the steelwork contractor, Neville Tucker Services devised an innovative mounting solution to ensure a neat installation that would hide the wiring. 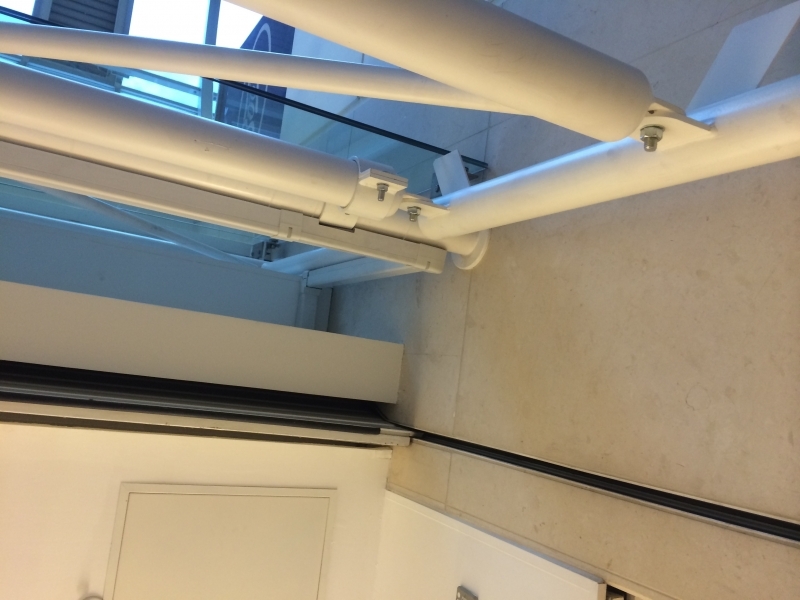 The weld studs were specified such that the air curtains would bolt directly on to the minimal steelwork at the full height glass entrance, without the need for any brackets. 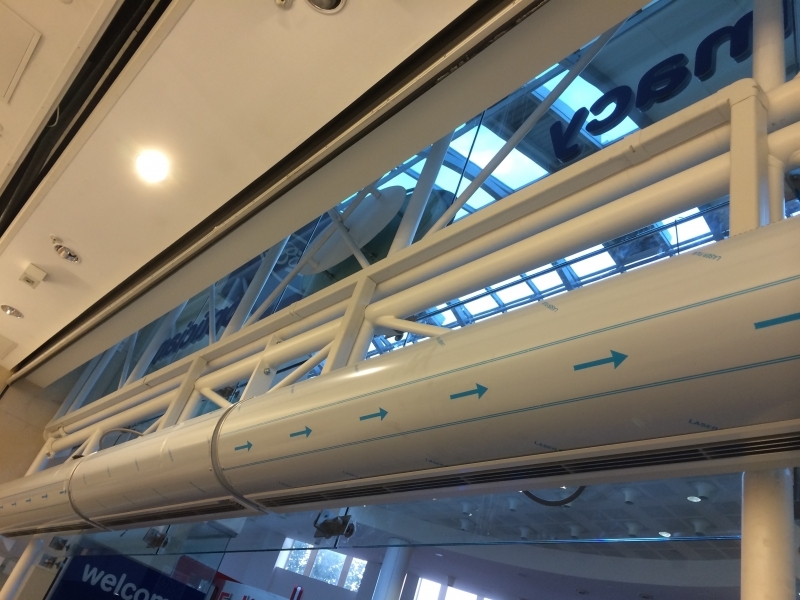 To ensure optimum performance, the air curtains were installed in conjunction with Nortek’s SmartElec energy controller. The wired, Thyristor-controlled system features a digital display and three fan settings allowing a modulation range of 16-35 degrees. End users typically find that SmartElec halves the running costs of their heating/air conditioning and they stand to make savings of up to 65% on their energy bills. 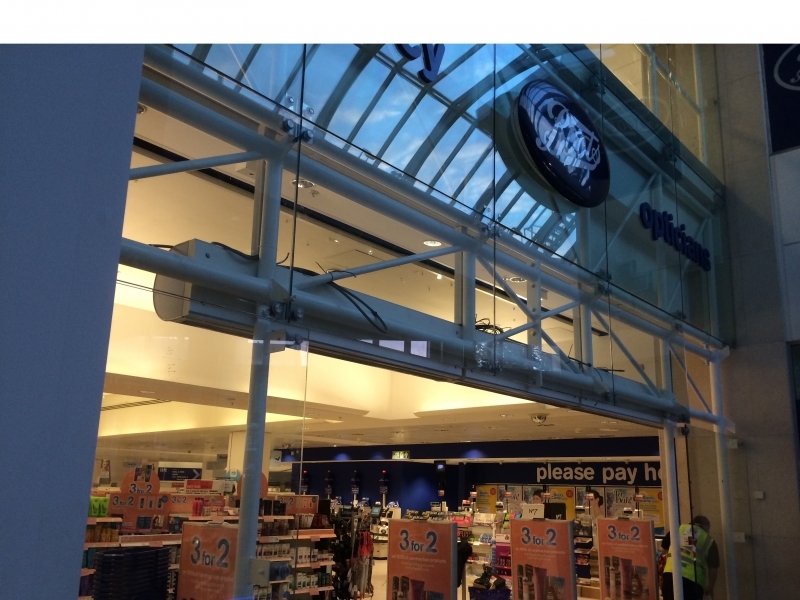 Neville Tucker Services director Matthew Gartland said: “Airbloc AC air curtains are powerful, quality units that fit the bill for a variety of retail applications and are easy to install. The SmartElec controller has built-in digital sensors that allow tighter control through pulsing and modulating of the heated elements, saving energy running costs. It means the air curtain can be at ambient temperature for as long as possible while still monitoring the required set point output temperature. The system specification also includes MODBUS protocol communication with the store’s Building Management System (BMS). This approach enables the BMS to switch the air curtain on/off and control it – altering the temperature setting and fan speed and identifying fault signals – so that it effectively replaces the standard keypad control.